It's not done till it looks right. 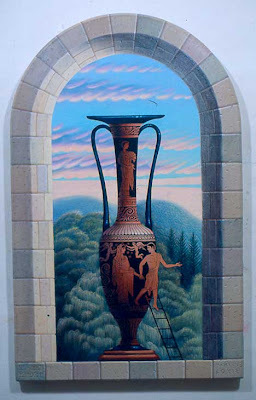 The addition of the loutrophoros vase creates a completely different painting. This was a wedding vase shape for holding water for the ceremonial bathing of the bride. The loutrophoros was also used to bathe the unmarried dead and was placed in their tomb.